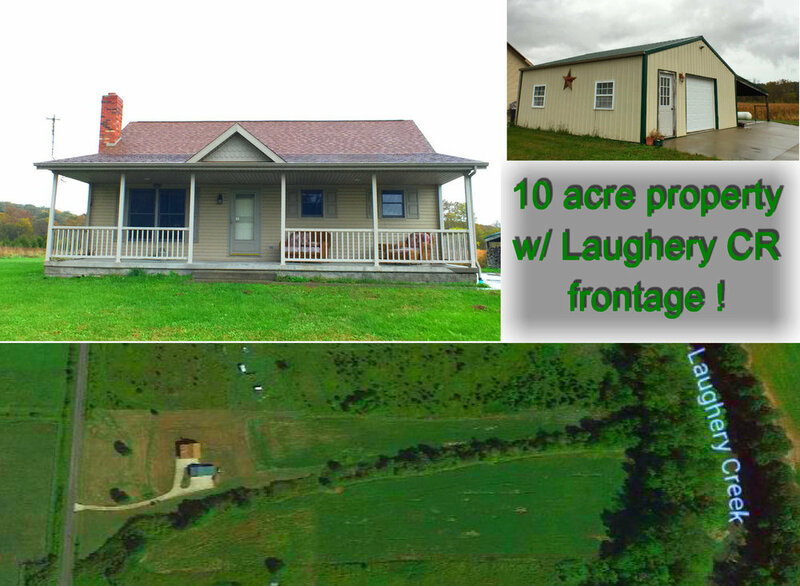 SCENIC VIEWS PROPERTY W/ 10 ACRES(APPROX 8 TILLABLE) W/ LAUGHERY CREEK ACCESS. Built in 2007, NICE 36' X 8' FRONT PORCH. 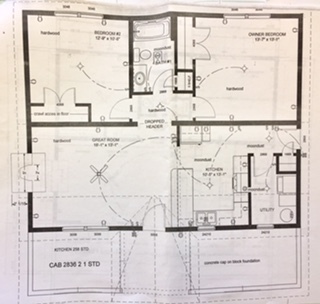 24' X 24' DETACHED GARAGE W/ FULL BATH, LAUNDRY, KITCHENETTE, GARAGE DOOR, BASEBOARD HEATER AND LEAN TO. CONCRETE DRIVEWAY, CISTERN WATER. Also a Car shed 24 x 20. Possession at closing !! Property in a Flood Plain . Appliances as well has a briggs and stratton generator to stay with property. 2692 E. SIGNOR HILL RD VERSAILLES, IN.